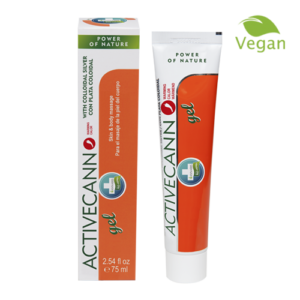 Activecann gel with hemp oil, hemp seed extract and colloidal silver is rich in Omega 3-6 unsaturated fatty acids and contains a unique and functional combination of 10 active substances. 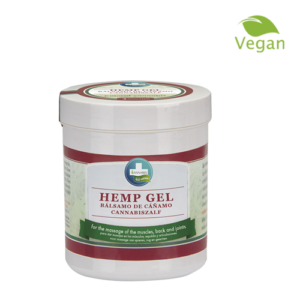 The gel is suitable for topical skin applications in the area of the joints, muscles, tendons and back. Lightly massaging into the skin soothes and relaxes after sports and physical exertion. Thanks to its consistency, the gel is easy to spread, non-greasy and absorbs easily. 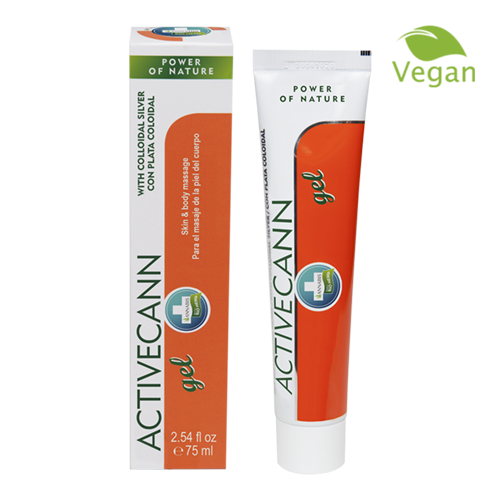 Feedback from our clients indicate a high level of satisfaction with Activeacnn gel. Vegan friendly. Recommended use: the recommended application is three or four times a day with at least 3 hours between applications. Not suitable for children under 3 years of age. Keep out of the reach of children.